The Best Edmonton Blogs from thousands of Edmonton blogs on the web using search and social metrics. Subscribe to these websites because they are actively working to educate, inspire, and empower their readers with frequent updates and high-quality information. Edmonton newsletter is a comprehensive summary of the day's most important blog posts and news articles from the best Edmonton websites on the web, and delivered to your email inbox each morning. To subscribe, simply provide us with your email address. Edmonton, Alberta, Canada About Blog Your one stop for everything you need to know about Edmonton, Alberta.Welcome to Edmonton. We throw axes for fun, barbecue in blizzards and camp with bison. From the continents first, biggest and wildest Fringe Theatre Festival to a shopping mall that spans over 48 city blocks. Facebook fans 105,717. Twitter followers 39,049. Edmonton, Alberta, Canada About Blog CTV News - Edmonton - Breaking news, local headlines and top stories from Edmonton and Alberta, Canada and around the world. Sports, Weather, Entertainment, Lottery Results, Weather, Traffic and more. Facebook fans 166,649. Twitter followers 180,640. Edmonton, AB, Canada About Blog Vue Weekly engages in thoughtful and intelligent journalism with a focus on progressive ideas from a local perspective. We cover topics, artists and events that are often ignored, marginalized or misrepresented by the mainstream media, thereby bringing balance to Edmonton’s media mosaic. Facebook fans 3,894. Twitter followers 21,221. Edmonton, Alberta About Blog Bringing together Edmonton parents with activities, events and experiences in Edmonton, for families. Facebook fans 25,169. Twitter followers 5,971. Edmonton About Blog Gig City is Edmonton's Daily Source for culture, arts, news and more. We're online for a good time, with updates daily! Facebook fans 1,174. Twitter followers 2,964. San Francisco, CA About Blog Edmonton's Local Subreddit! For Edmontonians by Edmontonians! Facebook fans 1,194,563. Twitter followers 565,337. Edmonton About Blog OILERSNATION is your home for Edmonton Oilers coverage, news, analysis, rumours and scores. We are a site by NHL fans, for NHL fans. Independent Oilers news website written for fans of the team by fans of the team. Facebook fans 42,833. Twitter followers 47,430. Edmonton, Canada / Treaty 6 Territory About Blog Daveberta.ca was launched in January 2005 and quickly became one of the best read political blogs in Alberta. In 2017, he joined Ryan Hastman and Adam Rozenhart to launch the Daveberta Podcast. Facebook fans 3,052. Twitter followers 16,243. Edmonton, Alberta, Canada About Blog Welcome to the official page of the 14-time Grey Cup champions: The Edmonton Eskimo Football Club. Facebook fans 112,752. Twitter followers 138,451. Edmonton, Alberta About Blog Edmonton's travel deal community. Find cheap flights, holiday packages, and all inclusive vacations from YEG. Featuring articles, guides, alerts, forums, discount promo codes, sales and more. Facebook fans 31,834. Twitter followers 6,027. Edmonton About Blog As Edmonton’s largest lender of information and entertainment, EPL’s mission is simple: we share with our city, community and customers. Facebook fans 18,222. Twitter followers 18,155,936. Edmonton AB About Blog Business in Edmonton is a monthly publication dedicated to producing timely and interesting articles about the people, trends and events that make Alberta’s capital city an economic powerhouse and hotbed for entrepreneurs. Facebook fans 112. Twitter followers 3,176. Edmonton, Alberta About Blog An Edmonton-based food blog: reviews of restaurants and local food, sneak peeks and recaps of upcoming or past events, and photo sets of the blogger's favourite food. Facebook fans 1,517. Twitter followers 2,662. Edmonton, Alberta About Blog Edmonton blogger & media lady: food . news . media & more ! Linda Hoang is an Edmonton-based blogger focusing on food, lifestyle, travel & pets. Follow for reviews, giveaways, travel & food inspiration! Facebook fans 1,829. Twitter followers 14,270. Facebook fans 171,905. Twitter followers 291,289. Facebook fans n/a. Twitter followers 3,128. Facebook fans 401. Twitter followers 840. Canada About Blog Kristinalynne.ca is a design and lifestyle blog that centres on creating a lifestyle inspired by beautiful interior design. Facebook fans 577. Twitter followers 633. Edmonton About Blog Discussions on what is happening around Edmonton and the Capital Region. Find Edmonton real estate and uncover the neighborhoods that make this city unique. Search idyllic Edmonton homes for sale, condos, townhouses and more. Facebook fans 1,335. Twitter followers 759. Edmonton, Alberta About Blog Edmonton Gazette is how-to guides on topics ranging from Educational, Travel, Career, Business, Informational Website Based in Edmonton, Things To Do In Edmonton. Facebook fans 270. Twitter followers 20. Edmonton About Blog A personal food blog which posts about dishes to gather around, places perfect for a specific mood or occasion, and events that incite a better appreciation for what Edmonton has to offer. Edmonton, Alberta About Blog A personal style blog & store of a vintage enthusiast and perpetual wanderer. Facebook fans 815. Twitter followers 1,729. Edmonton, AB, Canada About Blog Hi I'm Elyse Chatterton. I am an Edmonton food blogger, lady butcher, enthusiastic baker, gin drinker and lego picker upper. I make fabulous food and share it here. Facebook fans 144. Twitter followers 819. Edmonton About Blog Edmonton Commercial Real Estate – News, Information and Listings. We were the first (and still the only) blog to publish a weekly market report in addition to providing numerous articles about the process of leasing or purchasing a property. We also provide tenants and buyers with free searches of our entire database of listings. Facebook fans 386. Twitter followers 920. Edmonton, Alberta, Canada About Blog The Transforming Edmonton blog helps City employees connect with Edmontonians about the programs and services that build a great city. Facebook fans 87,108. Twitter followers 202,812. Canada About Blog AIF is a personal style blog by Vickie Laliotis dedicated to all things fashion and fun... come follow as she adventures in fashion, one outfit at a time! Facebook fans 2,207. Twitter followers 3,664. Edmonton and Surrounding Areas About Blog We provide local Real Estate market conditions and trends in Edmonton. We will also keep you up to date information on the Edmonton Real Estate market news. Facebook fans 347. Twitter followers 4,630. Edmonton About Blog The Edmonton Arts Council is a not-for-profit society and charitable organization that supports and promotes the arts community in Edmonton. Facebook fans 7,487. Twitter followers 11,939. Edmonton About Blog Be the first to know about Edmonton's best and hottest deals, sales, coupons, freebies, specials, promotions and discounts. Facebook fans 611. Twitter followers 889. Edmonton, Alberta, Canada About Blog Edmonton's NextGen is an initiative of the City of Edmonton. NextGen is powered by a group of community leaders and volunteers working together to create a city that attracts and gives voice to the next generation of Edmontonians by connecting people, places, communities and ideas. Facebook fans 2,253. Twitter followers 13,278. Edmonton About Blog Edmomton is a local motherhood blog about becoming a mama in Edmonton. Discover baby-friendly places, events, and businesses for new and soon-to-be parents. Facebook fans 3,309. Twitter followers n/a. Edmonton About Blog Fresh Look Event Management is your Edmonton Wedding & Event Planner. Your dream wedding, impressive corporate event or fabulous social get together will be perfect with Fresh Look there to help you right from the start. Facebook fans 449. Twitter followers 2. Edmonton, AB About Blog An Edmonton fashion blogger writing posts about life, fashion, reviews and family. Facebook fans 246. Twitter followers 337. Edmonton About Blog Let’s Eat YEG is a food blog that is based in Edmonton. All of my reviews are my own personal opinion, and they are heavily based on short experiences. Restaurants can be quite dynamic so it may not reflect the establishment perfectly. I’m just trying to write about my time there, so that it can help other people with their own dining choices. So, Let’s Eat YEG! Facebook fans 109. Twitter followers 797. Edmonton About Blog Explore Edmonton! From the continents first, biggest and wildest Fringe Theatre Festival to a shopping mall that spans over 48 city blocks,explore everything here. Edmonton About Blog Welcome to the official blog of the City of Edmonton Reuse Centre. Find out interesting DIY and crafts to do at our blog. 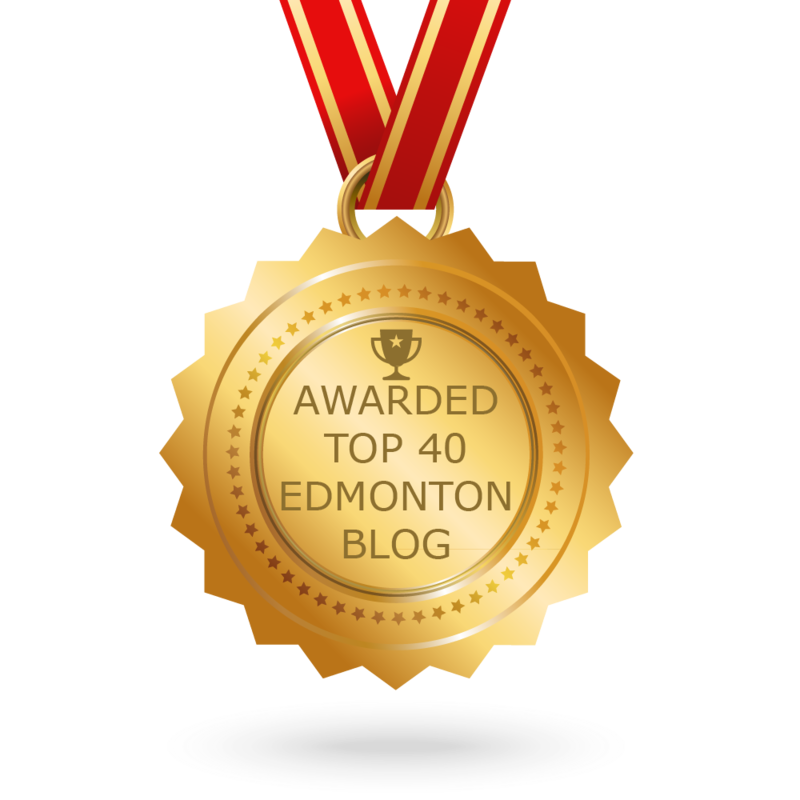 CONGRATULATIONS to every blogger that has made this Top Edmonton Blogs list! This is the most comprehensive list of best Edmonton blogs on the internet and I’m honoured to have you as part of this! I personally give you a high-five and want to thank you for your contribution to this world.